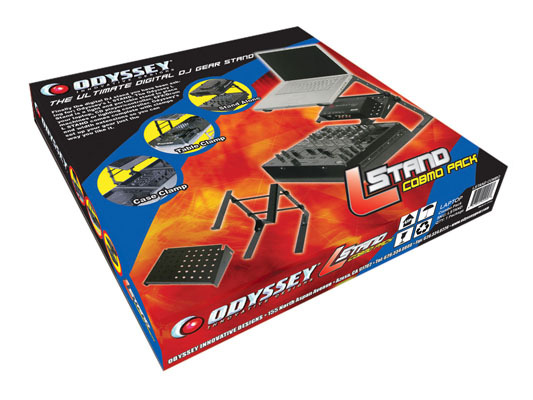 Odyssey LStand Combo (LSTANDCOMBO) Laptop Stand DJParts - All Variety of Parts that DJ Needs. LSTANDCOMBO - The most versatile laptop stand on the market now comes with your favorite interface tray! Our unique design allows for three basic configurations: table top, clamped to a table, or clamped to the wall of a case or other sturdy vertical structure. Set it low for a minimal clearance of 6.75” or set it up to 11.5” high. 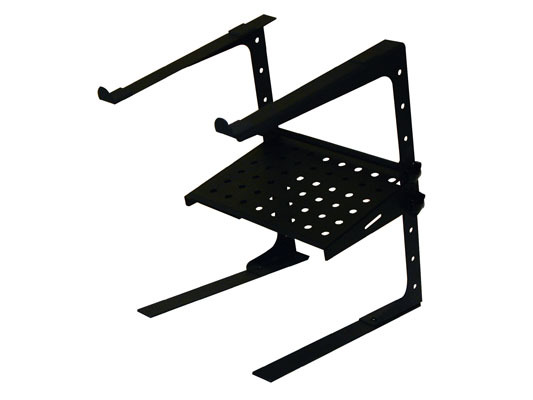 The 10.75” long support arms hold gear with a width of 9” or greater.The interface tray (LSTANDTRAY) attaches right onto the LSTAND it provides that extra space to place your laptop accessories.